On October 28, 2018, the Eparchy celebrated Bishop’s Day. October 28 marks the first anniversary of His Excellency Most Rev.Dr. Philipos Mar Stephanos’ installation as the Eparchial Bishop. During this short period, His Excellency has made a tremendous impact on all of us. The Eparchy has been touched by his warmth, exemplary leadership and deep spiritual teachings. As part of the celebration, a felicitation speech was given by Rt. Rev. Msgr. Peter Kochery and Bishop Stephanos thanked the entire Eparchy for its support and prayers. 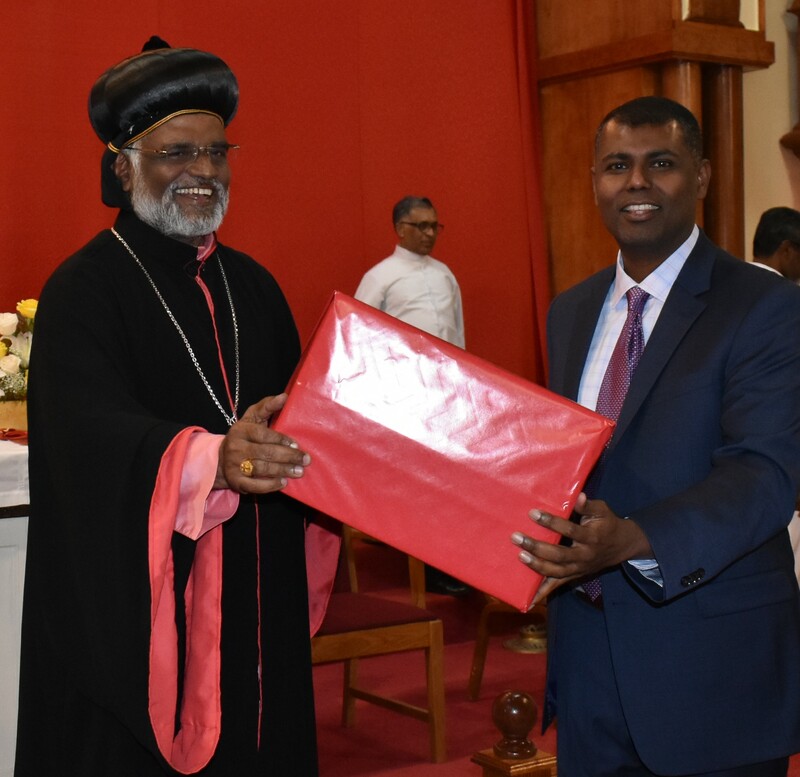 The Pastoral Council Secretary Mr. John P. Varghese presented a gift to Bishop Stephanos on behalf of the Eparchy. To conclude the celebration, Bishop Stephanos cut a cake and shared with few children as a symbol of his expression of love for everyone in the Eparchy. The Syro-Malankara Catholic Eparchy in USA and Canada wish him a fruitful and a blessed ministry ahead. The celebration was concluded with Agape in the Cathedral Hall in which everyone could share the joy of Eparchial fellowship once again.